When I’m in the grocery store and I see a child mid-meldown, I wonder if their sensory system is overwhelmed by the lights and noise. I wonder if that mama just wishes she could tell everyone in line that it’s the autism that makes a trip to the grocery store feel like a half-marathon. When I’m at the library and a child doesn’t tell me their name, I wonder if apraxia prevents their oral motor coordination. When I see a man’s disfluencies increasing on an airplane while trying to request help from the flight attendant, I wonder if he is feeling the same flight anxiety as me, which is making his fluency worse. Being an SLP gives me a unique lense for looking at the world. 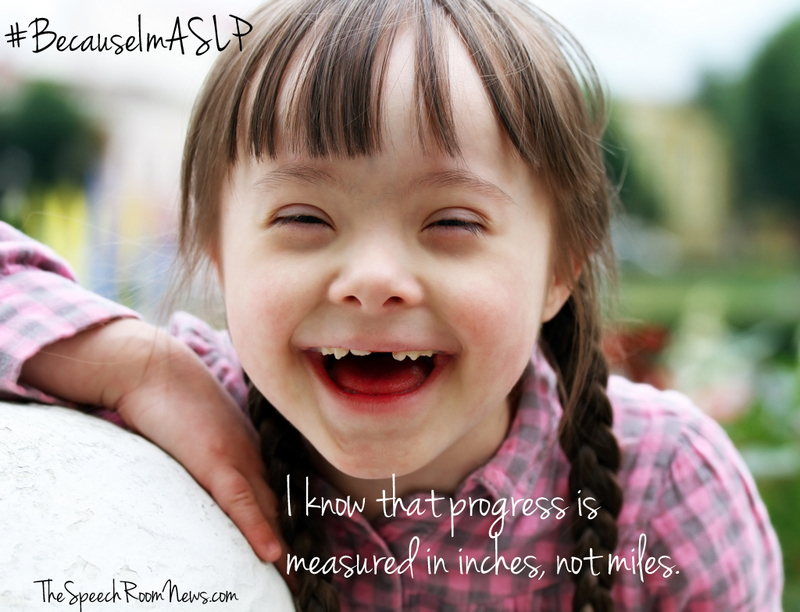 I know progress is measured in inches, not miles. There is new meaning in noticing the little things. Those inches add up to miles eventually. By nature, I strive for perfection. I’m an overachiever. I know you’re not surprised. 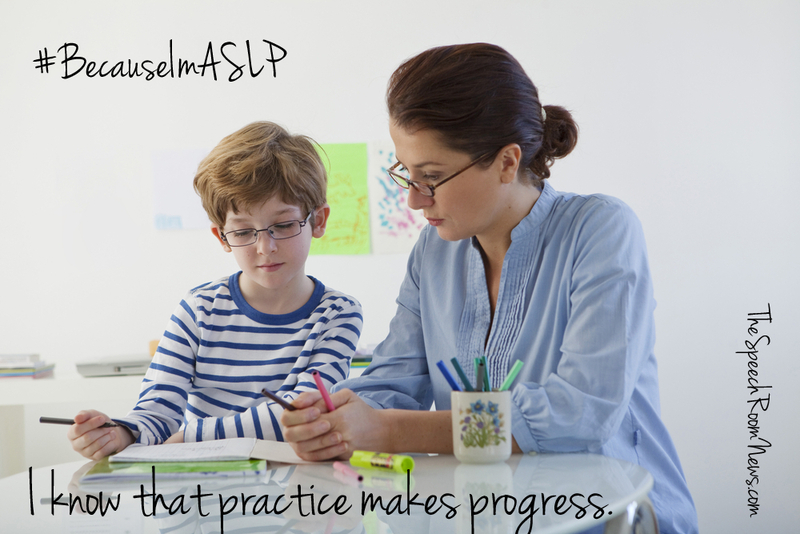 SLPs seem to be type A folks. #BecauseImASLP I know that perfection is not the most important thing. Instead, practice makes progress. And progress is a wonderful thing. Working with children of a variety of verbal abilities has taught me so much about communication. There are so many way to communicate. Talking is only just one of them! Tell me what you’ve learned by joining the party over on Instagram. 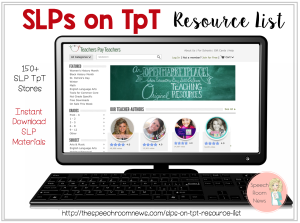 Follow me @speechroomnews. 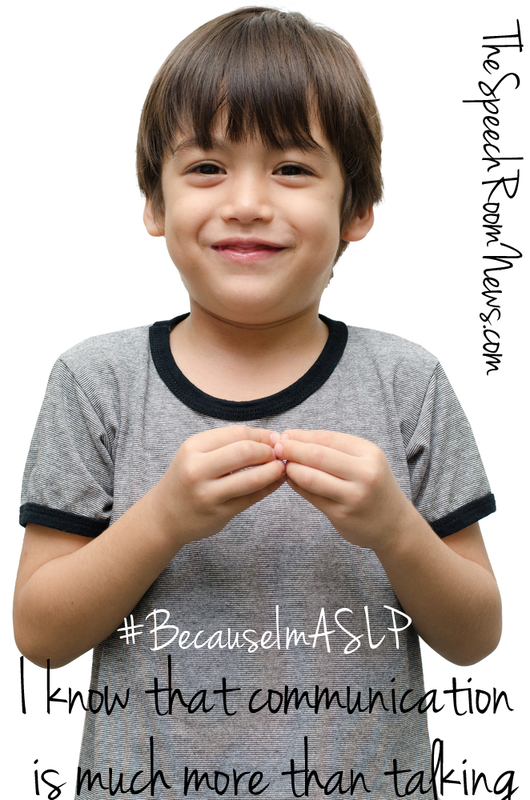 Use #BecauseImASLP and #SpeechRoomNews and tell me (and the world) what you’ve learned because you’re a speech-language pathologist. I can’t wait to read what you’ve learned and experienced! I was in Target yesterday and heard a child. It wasn’t a scream, but a “noise”. I knew right away that the child has autism. We just know and understand, don’t we? Wow, I couldn’t have said it better!!! I was walking along the beach over Christmas break, and a tall boy, probably around 19 or 20 was stripping down to get into the water…it was 50 degrees outside…with family around, with mixed emotions. As I walked in their direction, the young man ran towards me at full speed, stopped short of my face, and started touching my hair. I talked to him (he was did not speak) saying, “Hi. I am Kelly” and slowly backing up a few inches at a time, but holding his shoulder as his hands were on my shoulders. And his mother runs towards me apologizing with panic on her face screaming “He has Autism!! I am so sorry! 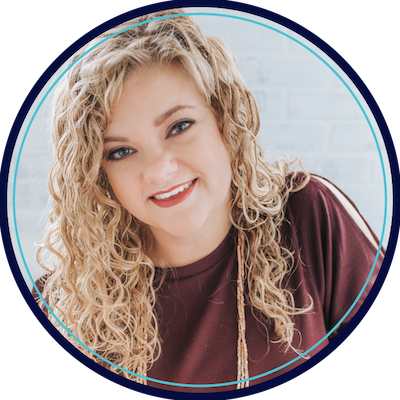 !” I turned to tell her it was fine, I was a SLP….I am so grateful to be a part of a world that gives mom’s less reason to defend their kids who are beautiful as they are. And I hate that she feels that worry that someone won’t be understanding or react poorly. Knowledge and understanding really are wonderful things to have. How lucky for that mother that it was you that her son approached and not someone else who would not have understood and perhaps would have screamed or worse could have reacted physically. My hope is that with contiued awareness, everyone would react with with understanding and compassion and less fear. I always try to congratulate all parents on their children. Only after I complement their children. EVERY child is beautiful, and I say so. My feelings exactly!! 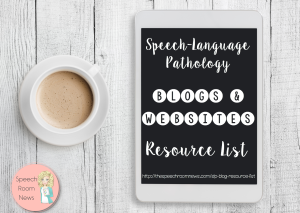 We Speechies are always so aware of the various ways children (and adults) attempt to communicate and it is our charge to help shape it and help others understand their attempts. After more than 30 years as a Speechie, this continues to be my passion and am so happy to see you “youngsters” feel the same way. Thank you for sharing this and your great ideas.